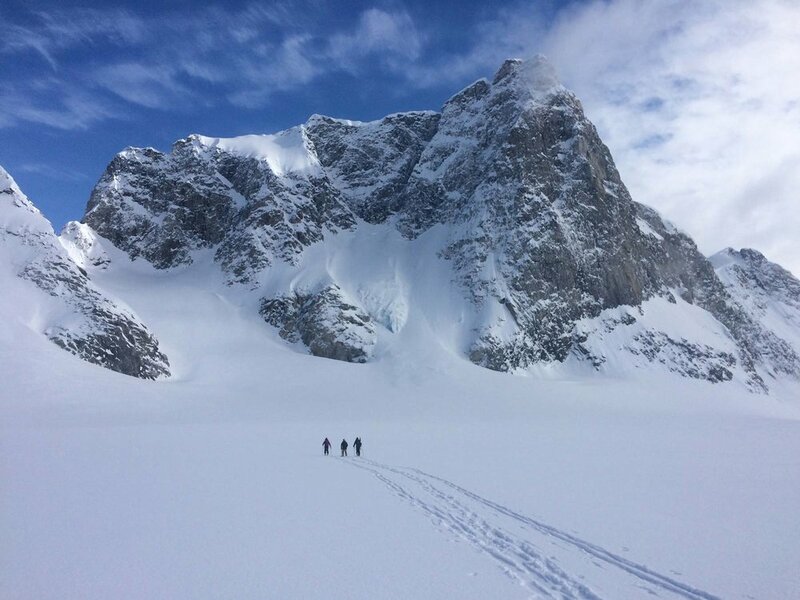 Join us for a unique and exciting 8-day ski expedition into a wild, rugged and remote stretch of mountains on the east coast of Greenland. Starting in Kulusuk, we’ll use boats and dogsleds to take us, and our gear, to the Tasilaq Hut, deep in the Ammassalik Fjord. The journey will see us cruising through incredible frozen fjords along the jagged coastline, stopping first in the small Inuit village of Kuummiut, where we’ll spend one night before continuing up to the Tasilaq Hut. Once there, we’ll spend 5 nights in the relative comfort of a backcountry hut, ski touring up and down a number of incredible peaks. Day 7 we will dog sled and boat back to Kulusuk where we’ll spend our last night be fore flying back to Island the following morning. This trip is a self powered adventure to one of the most incredible ski destinations in the world and we will be bagging first descents in some remote untouched Arctic wilderness. 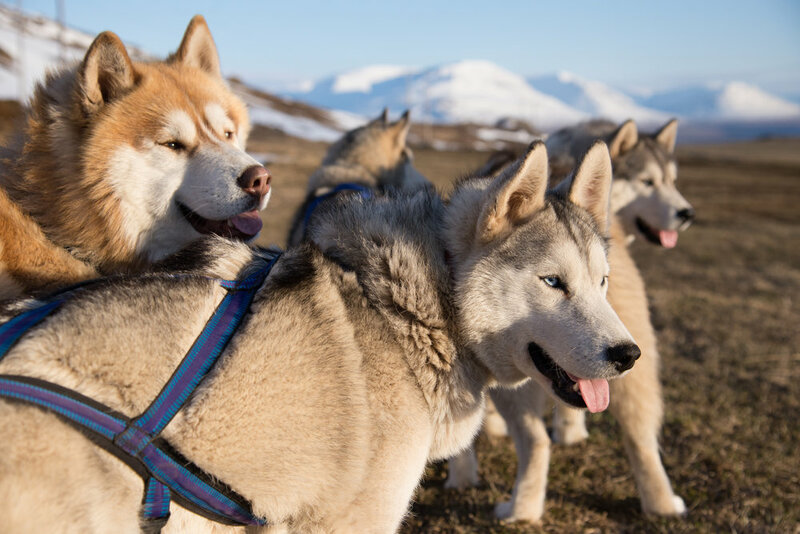 This is a true, all-mountain experience that incorporates skis, boats and even dogsleds. 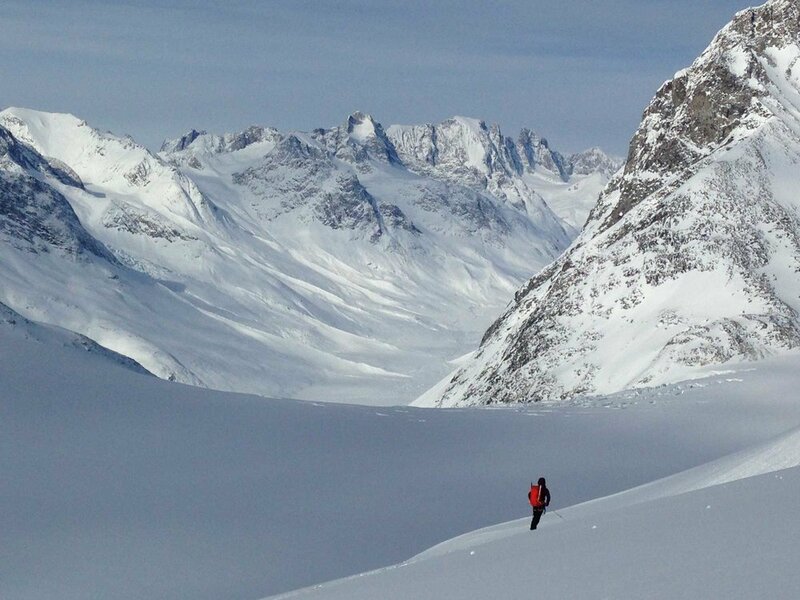 We will spend 5 days at a remote hut, touring up glaciers, boot packing up couloirs and enjoying the fruits of our labours with incredible ski descents with views of tidewater glaciers and urged mountain peaks. We will return each evening to our cozy hut on the edge of the Karale Glacier and sit on the deck as we watch the alpine glow on the 1500m peaks around us. This trip is for those adventurers at heart who wants to power their own way through the mountains and glaciers of this incredible environment. Fly from Reykjavik to Kulusuk, East Greenland. Upon arrival, we will board a cozy, enclosed boat and make our way to Kummiut, a small inuit village where we will spend the night in a basic guesthouse. After checking in we can go for a short afternoon ski tour or spend some time checking out the town and meeting the locals. 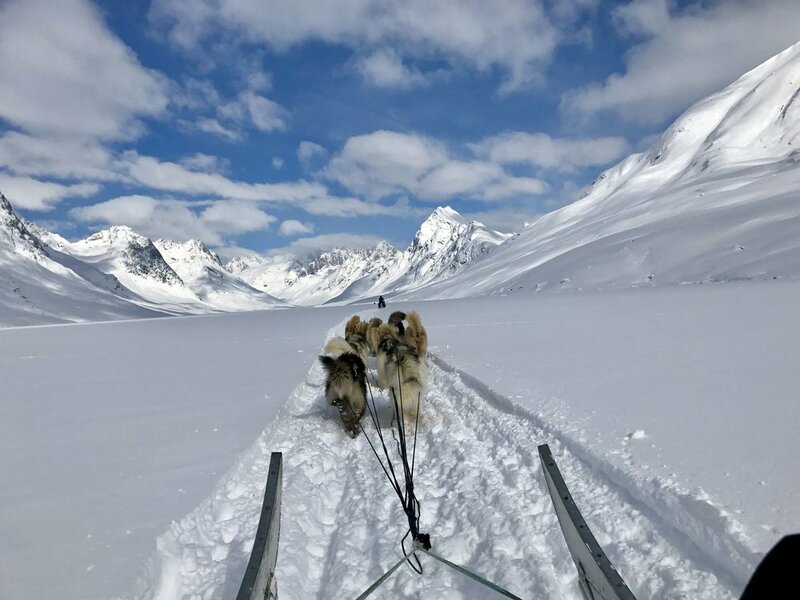 With the aid of our Greenland mushers, we will load our gear and supplies onto the dogsled and set off into the wilderness up the Kuaa Valley for a 5 hour dog sled trip to our remote hut for the next 5 days. Upon arrival we will move in and go for a short evening ski tour. We will spend 4 full days exploring the terrain around the Tasilaq Hut. For those looking to ski steep terrain, there are lots of options. The terrain close to the hut has a number of couloirs as well as steep faces. For those looking for fun terrain but without the exposure there are lots of options to put a smile on your face. With two guides on this trip we can break up into two groups and have both groups ski terrain that provides everyone with an amazing experience. Today we will ski down to the waiting dog sleds and make our way back to Kulusuk. We will spend our last night in Kulusuk Hotel. There is the possibility of one last ski tour based out of Kulusuk, time depending. Fly Kulusuk to Reykjavik, Iceland. We’ll be skiing on the east coast of Greenland in a region named Angmagssalik, known for its breathtaking mountains and large fjords that spill down from the Greenland ice cap. The highest peaks in the region top out at 2000m but, generally, most of the mountains are around 1000m and rise directly from the ocean. Because the fjords are mostly ice-filled and the surrounding ocean pack ice, this region is only accessible by boat in the summer months. The terrain surrounding Tasilaq Hut is perfect for ski touring with a wide variety of circuit options, including complex glaciers and a few mountaineering objectives, all of which offer stunning, steep descents. Fitness and skiing ability should be advanced with some ski touring experience. Touring days will be of moderate duration. Terrain is moderately steep and glaciated with mixed conditions. Ski mountaineering objectives are possible under the right conditions. Most essential is an adventurous spirit with a keen desire to explore the mountains of Greenland! We’ll start the trip with a 2-hour flight form Iceland’s capital, Reykjavik, to one of the world’s smallest airports, located on the island of Kulusuk, a typical Greenlandic fishing and hunting community. The adventure begins just a short distance from the runway, where we’ll take a boat to the remote village of Kuummiut. We’ll transport our gear straight onto the sea ice, where our boats awaits! In the heart of the deep Ammassalik fjord, surrounded by steep granite mountains, a small village called Kuummiut lies buried in snow. This is an Inuit community of 300 inhabitants at the edge of one of the most impressive mountain ranges on the planet. It is the ideal place to discover the traditional culture of Inuit hunters and set out on our ski adventure. We’ll spend one nights in Kuummiut in a basic, but warm and comfortable, hut. 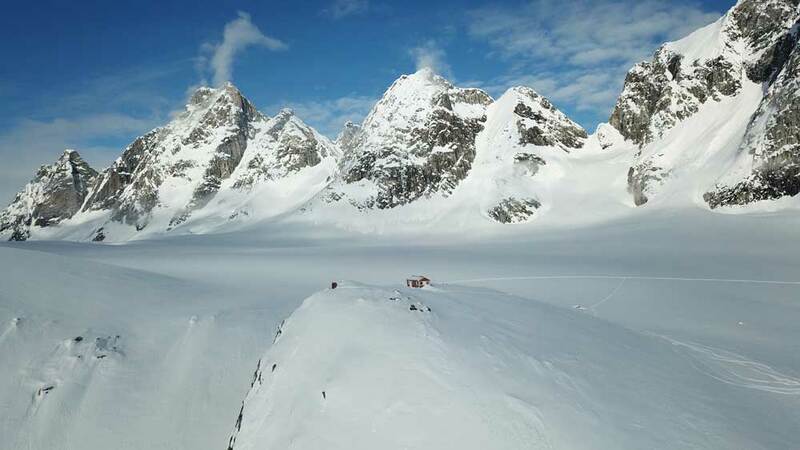 The Tasilaq Hut, built with Danish lottery winnings, is situated in a prime position to offer many days of ski touring, either by heading inland or descending towards the fjords below. Sleeping quarters are separated from the kitchen/common room, and there’s a kerosene heater as well as a propane cooking stove. The hut sleeps 10 people comfortably; the only thing that is required is a sleeping bag. East Greenland is home to polar bears. We will take measures to stay away from these animals and will view them from a safe distance, if spotted. Rifles will be brought on this trip, as will bear warning systems. Air Iceland Connect flies to Kulusuk from Reykjavik Domestic Airport twice or three times a week and the flight takes about 2 hours. Check airline website for details: www.airicelandconnect.com. Icelandair has direct flights to Reykjavik from Vancouver and Edmonton, and good connection times to catch the flight to Greenland the same day as arriving in Reykjavik from Canada. Check airline website for details: www.icelandair.com. Iceland’s Keflavik International Airport is about an hour’s drive from the domestic airport in Reykjavik where you will depart for Greenland.